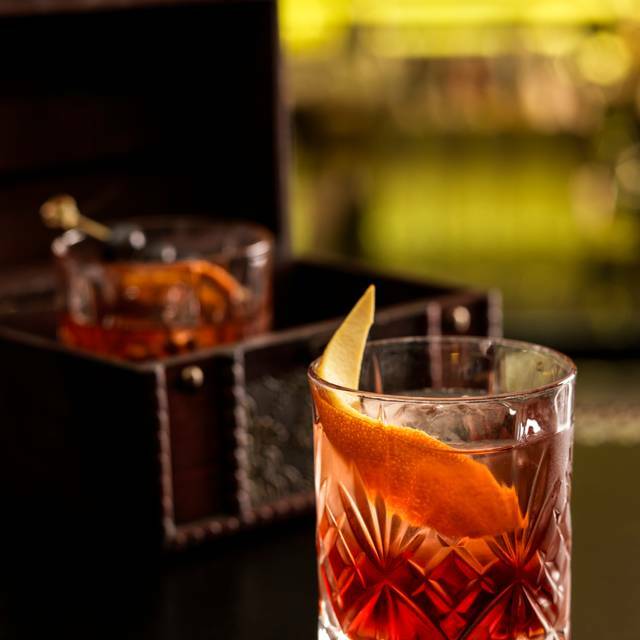 You must make bookings at least 5 minutes in advance of the time at Amaranto at Four Seasons Hotel London at Park Lane. Live music entertainment will enhance your experience from Tuesday until Sunday for Afternoon Tea between 14:00 and 17:00. For those preferring to dine privately, for up to 10 guests, the elegant Amaranto Private Dining Room is available to reserve for Breakfast, Lunch, Afternoon Tea or Dinner. Adjoining the main restaurant, the room is totally private offering a unique dining experience, ideal for a celebration, business meals or a special event. Situated in the heart of Mayfair, Amaranto menu showcases modern Italian cuisine, where traditional Italian recipes are prepared with the very best local ingredients for lunch and dinner. 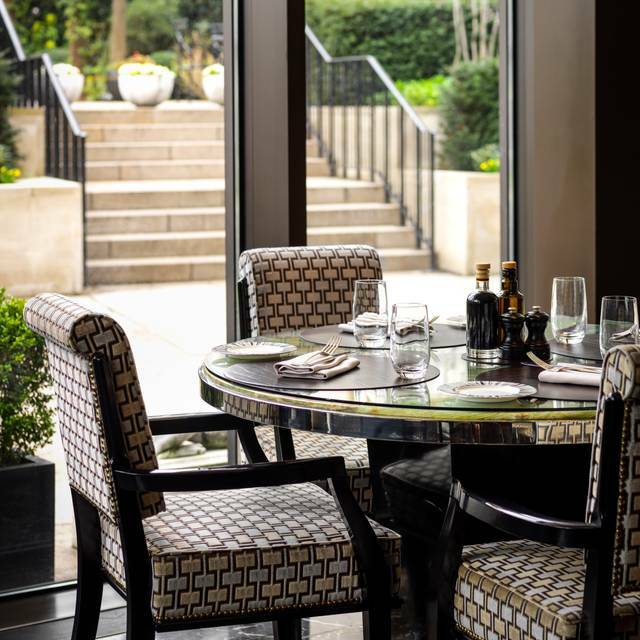 The restaurant comprises an elegant dining room, a contemporary glass conservatory seating area overlooking the garden, an intimate private dining room and outdoor dining on the private terrace during the summer months. Diners can also treat themselves to afternoon tea in the Amaranto Lounge. Executive Pastry Chef David Oliver has created a seasonal afternoon tea. From a set menu. Enjoy two brunch dishes and a selection of desserts for £49 per person. Upgrade to 2 hours of free-flowing Ruinart Chapagne for £89 per person. Had an afternoon tea for Mother's Day & really enjoyed it! Sandwiches & scones were, just as expected, fresh & tasty. Pastries very creative & delicious! The setting is an elegant, uniquely designed & comfortable lounge, which makes you feel perfectly relaxed. The cherry on the top was a small gift for me as a mum. Would definitely go back again! Outstanding service, perfectly modern and chic setting. Scallops were exceptional. Burrata was good. Pastas should have been much better at this price point. They were ok but we enjoy going out to dinner to savor fresh, flavorful presentations. I have been to seven Four Seasons around the world and this dinner was the most underwhelming of all of them. It also took ten minutes to receive our drinks. The bar staff were overwhelmed with a full lounge and almost empty restaurant. That was confusing for an early Saturday night. Wouldn’t they expect this volume of guests? Our server was five star. She was charming, professional, and you would want to work with her as your colleague. The staff at the host stand were also very friendly. The lobby and lounge area also create a grand feeling as you approach the restaurant. Five stars in that regard as well. More of my choice would be to have a later night drink in the lounge with that ridiculously perfect chocolate dessert we had last year on our visit here. We came to London for three nights of dinners and this was the most expensive and the biggest disappointment. Many better options out there - again restaurant service, restaurant and host staff, setting were all perfect - the bar delays for both drink orders and food quality was driver for scoring low. Amazing afternoon tea. A lovely venue, fantastic staff and wonderful food. Absolutely top notch afternoon tea and service. I rated poorly on noise as they were vacuuming behind me which was a bit annoying. I went with my boyfriend for a date night and we loved it! He loved it so much that he made friends with the waiter haha both lovers of wine. The food and service was top notch. Worth every penny. We will definitely return. The food is fantastic, no doubt about it, the desserts in particular have a wow factor. But. What makes this restaurant truly great is the staff. They were welcoming, professional, friendly and genuinely passionate about the restaurant. I really hope the owner appreciates them. It was a memorable evening out. We were, I think, the only diners not staying at the hotel. The clientele were a mix of families and groups of friends, and we were a couple. We went as a treat, it's pricey, but well, it is Mayfair. But it was absolutely worth it. Enjoyed a good ambience in the restaurant, the staff were very helpful pleasant. I would definitely recommend this hotel. Phenomenal food and service. Can’t fault a thing. Highly recommended. We were staggered by the extensive range of starters, deserts, joints from the carvery, as well as main courses prepared by the kitchen. One could make as many visits as one wished and the mains prepared in the kitchen arrived exactly when requested. Bellini’s were truly endless, though they give me indigestion so I ordered a glass of wine, which was quite expensive, so it probably best to stay on piste, which did include water and hot drinks. During the meal two of the chefs (one complete with toque – nice touch) came around with a freshly prepared dish of risotto which was marvellous. Service was attentive and extremely friendly. Unfortunately, we only had the capacity to try a small proportion of everything that was on offer. Quite okay but much too overpriced. Fantastic pre christmas lunch meal four 4 in wonderful quiet surroundings away from the chaos outside. Staff were superb too. One of the best dining experiences this year. Great value! Haven’t been here for a long time. Surprised at the improvements and how good it was. The food was amazing with a fantastic choice. Staff couldn’t be more helpful. Overall a fantastic dining experience. We shall return !! We had a great value meal. Each course was well presented and tasty. Champagne poured at your table in a generous glass. Service was outstanding throughout the evening. Given the location and surroundings this was an excellent value meal. Full bread selection and amuse into the bargain. The offer meal really delivers. Second time at this restaurant and every time it's a wonderful moment. Service, food, ambiance..this is a real treat and worth the price. It's a little luxury but price is only fair when the service and the food consistently keeps high standards and allow any adjustments in dishes you may wish at no extra costs. Staff is very helpful, present but not disruptive. I recommend this place to all my friends and look forward to my next visit. Good food, good location but what is most outstanding: The Staff!!! Blown away by the service and attention to detail by the Staff, once again a fabulous experince for my girlfriends birthday. A sophisticated venue for great Italian food, and great service. Try the wonderful tomato soup with crusty parmesan on top to start and the quinoa salad for health and well being. Delightful selection of food, fresh, varied, sophisticated and delicious. Five star service even if some orders arrived very late after asking for it a second time. Waiters were all very helpful and smiling. This kind of restaurant is a treat and it felt like one. We really enjoyed it and looking forward to go back. Thank you the Four Seasons, this was a memorable experience. Beautiful decor, quiet and spacious. Had a meal with a friend , nice ambiance , menu had a good selection of food choices. Food was quite tasty and well prepared . Service was exceptional , five stars ! So I'm a dairy eating vegetarian and they have a vegetarian menu but my husband is not and we both love the food .He loves the calamar, the great tomato soup i and the fish. I love the quinoa salad, the freshly made soups and the delicious pastas and risotto. Elegant, service, sophisticated surroundings. Who could ask for more? I frequent Amaranto at Four Seasons Hotel London every other weekend and it is an absolute delight. From the staff to the ambience and menu choices - it's simply a must! Italian cuisine with fabulous service and atmosphere. Thank you so very much ! The food was fantastic, service was very friendly and attentive could not fault the brunch, on paper price seems expensive but selection and quality were first class. try it! Un accueil très chaleureux. Un service irréprochable. Peut-être un peu plus d’originalité dans l’assIette. The overall experience was not bad. The food was a little salty but with the 3 course lunch menu, you can’t really complain. There are however many better hotel restaurants in the area. Had afternoon Tea, it is an excellent venue, the ambiance, food and service was excellent. The music selection from the pianist was good and very well played. It was quite romantic fantastic for a date. I will return again. An absolutely wonderful experience! Great menu, delicious food, exceptional presentation, outstanding service. Would definitely recommend and will be returning soon! Best brunch I have had in a decade. Spectacular. 5.28.2018 Upon arriving at the restaurant, we were treated very special. I can't remember the last time I was at a restaurant when the host took our coats to the cloak room. We were seated next to the windows to the courtyard where we could enjoy the garden as well as see the entire room. We were referred to the sommelier for our wine selection. The last bottle of our wine choice had just been sold, but were recommended a wonderful red from Sardinia region which was wonderful. The service was excellent and not overbearing. The Food: wow! Asparagus Risotto was delicious. I loved the torched goat cheese on top. The other guests enjoyed the best Tomato Soup they'd ever had; ravioli, Lobster pasta, and chicken which was flavored and broasted to perfection. They even had little ottomans for our purses. The decor was gorgeous and who doesn't love a wine bottle wall! They had two. Every employee was gracious and attentive. Thank you for a wonderful dining experience. Our second visit and every bit as good. Fabulous fish, excellent wine and service.